Snapology of Lancaster compensated me for this blog post. All opinions are my own. Snapology Discovery Center in Lancaster is a place where children can have learning experiences through interactive play. 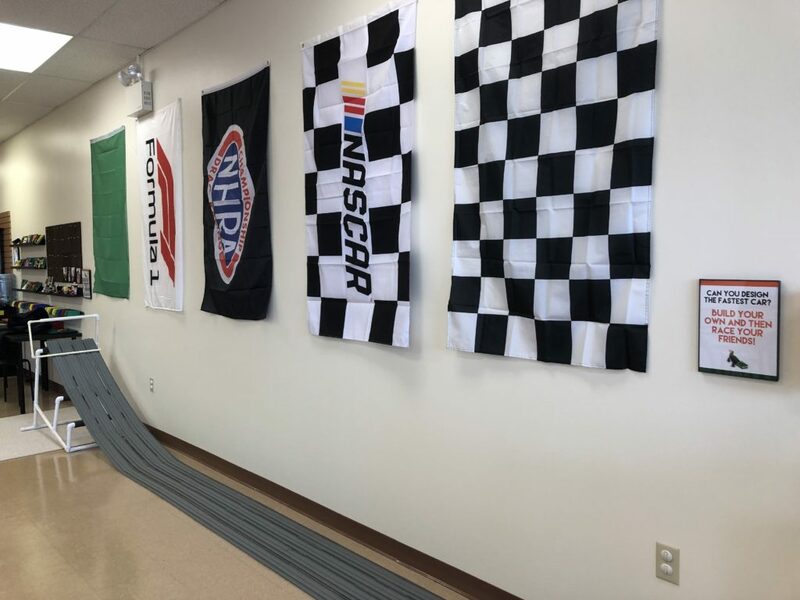 Snapology instructors use STEM/STEAM learning concepts and interconnecting blocks, robots, virtual reality and more, to give your child an active play experience. Teamwork and social skills are also important at Snapology, as children work together to build, learn, and grow. The Center offers a myriad of programs to fit your child’s age, interest, and availability. From preschool programs, to robotics and video game programming for older children, there is something for everyone. Open play allows the children to explore and find where their interest lies. More specific themed classes and camps give kids the skills to take their building and creating to the next level. Creative Play is open play time to let your children find their favorite activities at the Discovery Center. 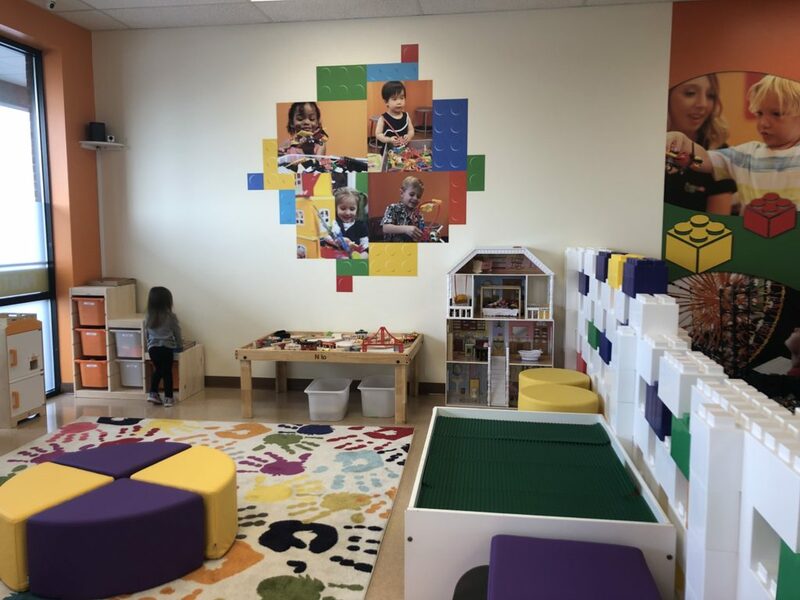 There’s a separate play area for preschool-aged children that includes a play kitchen, Duplo blocks and a build table, dress-up clothes, and much more. 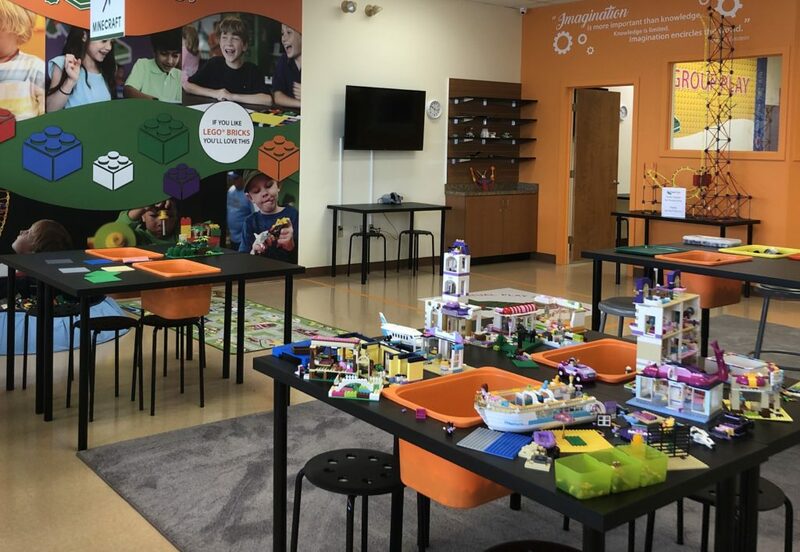 For older children, the Discovery Center features many tables of LEGO-themed build stations including LEGO Friends, Minecraft, Bionicle, etc. 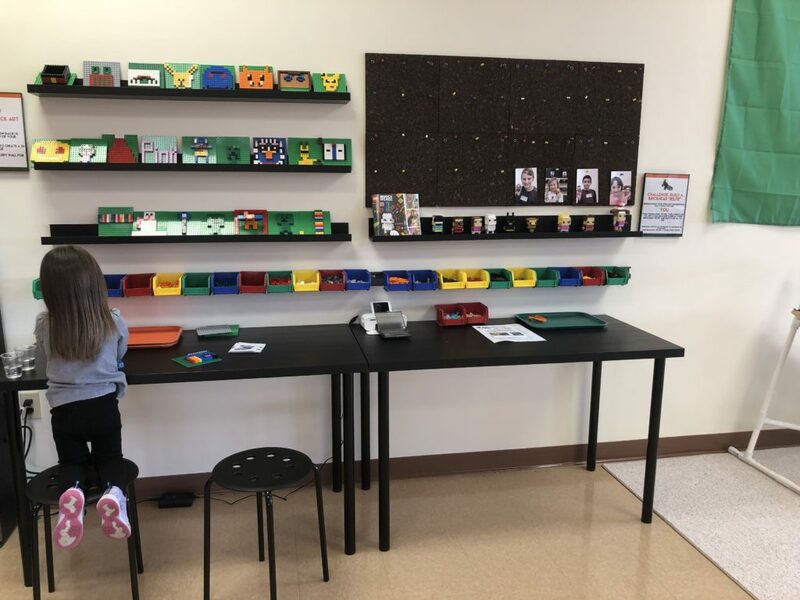 Two other creative play stations include Blockheads where children can build a replica of themselves with LEGOs, as well as a mosaics creation station and display space for their artwork. During Creative Play hours, children ages five and older can be dropped off. Parents can also play along side their child, or relax in a waiting area toward the back of the play space. Water and coffee are available, as well as WiFi. For days when schools are closed, Snapology offers mini-day camps with full and half day options. Camps are for ages 5 and older. Each camp day has a different theme. For example, January 21st is focused on LEGO City in the morning. Then the afternoon session is a Star Wars theme. Summer camps will be available at the Discovery Center and through other summer camps in the Lancaster and Reading areas. There will be full and half day sessions. More information about the camps will be on the Snapology Lancaster website soon! Birthday parties are available at the Discovery Center in a special group play room, or Snapology can come to your rented party hall with their mobile LEGO play kits. All birthday parties include a theme and a certified Snapology party instructor who will set up, clean up, provide supplies, and lead the party activities. Parties at the Discovery Center offer use of a party room for cake and presents, and two hours of play. During the party, parents can relax in the waiting area (which has WiFi), or drop off their child if the child is 5 years or older. For more information on Snapology birthday parties, check out their website. Preschool play and learn includes a guided class for a half hour, and then open creative play. The class is geared for ages five and under. Children must be accompanied by an adult. Classes have different themes, but overall early learning concepts will be covered, such as shapes, colors, counting, matching, cooperation, taking turns, and following directions. Registration for the class can be purchased individually or in packs of six. Check out the Snapology website for class days and times. The Homeschool STEM Club offers programs for elementary school aged students in robotics, science, engineering, technology, and more! Middle school aged programs will also be offered. Registration for the class can be purchased individually or in packs of six. Snapology of Lancaster compensated me for this blog post. All opinions are my own. .
Google Maps is mistaking the location of Snapology as being on the Fruitville Pike end of Granite Run Drive. It’s actually close to Manheim Pike in the shopping center with Dream Dinners, Cinnaholic, and Isaac’s Restaurant. Open play costs the same whether you “drop-off” your child or stay and play with them. Max play time is 3 hours, so arrive early enough during the open play session to take advantage of all three hours. There’s a family discount! Pay for the first child, and there’s a discount on admission fee for additional children. Parent’s Night Out classes are also available, which include dinner and activities for your child. Keep in mind all teachers at Snapology have clearances and many are school teachers. Memberships are available and include unlimited creative play visits during your membership period.